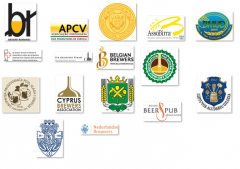 Beverage Trade Network looks at Beginner and Advanced strategies on how Wineries can maximize their exposure on Twitter and connect with the people that matter. Since it’s induction, Twitter has become a huge player in any modern Internet marketing campaign. 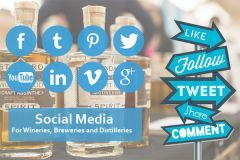 From connecting with customers to negotiating new partners, Twitter is an indispensable tool for any Winery looking to expand. Twitter offers four different ways to communicate with other members on its platform. All are very similar, but each has its on use. Let’s take a look at how to take full advantage of them. Image: This screenshot shows you what a twitter message box looks like. Attaching Pictures to tweets is a great way to interact with your followers and the twitter community. Just click on the camera button in the message box and Twitter will prompt you to add a photo from your computer. Adding your location can help you connect with other people nearby. Just click on the pin button beside the camera and Twitter will do the rest. Including Links in your tweets is an easy way to connect your twitter account to pictures and messages from outside sources. Tweets can only be 140 characters and every link or picture you add uses approximately 20 characters. Make sure to plan your tweets accordingly! Use the Tweet function to post news, events, ideas and whatever else that you want to share with your community. Make your messages fun and interactive and always try to connect with your following. One of the most important features of the Tweet function is using the @ feature to send tweets directly to other twitter accounts. Image: This screenshot shows you how to use the messaging feature of a tweet. 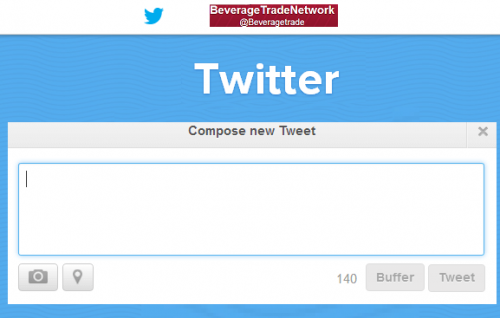 By using somebody’s twitter name, for example @BeverageTrade, at the start of your tweet you are instructing Twitter that your message is intended for that members twitter feed. This allows for easy conversations between you and your followers and keeps the exposure of your tweet down. You can also ‘Mention’ somebody in your tweets by putting their twitter name in the body of your tweet. This feature is very similar to the above example, but in this case the tweet is much more public. Use this feature if you want everybody to know what you have to say to one of your followers. Image: This screenshot shows you what a Retweet message box looks like. Retweeting is a quick and easy way to share interesting news or messages that you found on other twitter member feeds, on your HOME feed or on your DISCOVER feed. When you Retweet you are sharing some one else’s tweet with your followers and helping them find what they might not necessarily have found on their own. Twitter’s Reply feature allows you to respond to a tweet that you find interesting. They are a convenient way to get in contact whoever posted the tweet and tell them how you feel about what they had to say. They are also a great way to reply to a tweet in which you have been mentioned. Image: This screenshot shows how you can keep a running conversation going with the Reply function. Image: This screenshot shows you how to access Twitter’s Direct Messaging system. We Have Covered the Basics, What’s Next? Below we have outlined a few trade secrets that advanced users exploit to maximize Twitter’s platform and reach a larger audience. 1. Using Hashtags to Expand Your Exposure. In other words, using Hashtags in your tweets is a great strategy to employ if you are trying to target a certain audience. Users interested in the keyword specified by the hashtag will see seek out your tweets. Below we have outline two different examples of how to use hashtags. This screenshot shows the use of a genre specific hashtag. In the above example we have used a hashtag for a very specific topic. 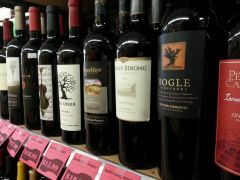 The use of “#wine” will ensure that the tweet will find other Twitter users interested in talking about wine. This screenshot shows the use of a trend based hashtag. In this example we have decided to use a trendy hashtag. Using #humpday here will give the tweet a much broader scope of readers. Use these kinds of general hashtags if you are looking to connect with a new audience. • #(Varietal Name) – most varietal names have hashtag followings. Image: This screenshot shows you how to add or remove accounts from your lists. Creating a few lists and only following the accounts you choose to add to them will make it much easier for you to concentrate on networking with the people that really matter. One of the most useful tools that Twitter offers is their Advanced Search page. For first time users it is very hard to find. In fact, some advanced users don’t even know that it exists. Make sure to bookmark https://twitter.com/search-advanced because you will find that it is a god send when you are looking to find new, relevant feeds to follow. The Places search option is a great way to find people in your Area code, State, or Country. Use these different search parameters and key words to discover interesting feeds that you can follow. Now you have all the tools necessary to run a successful Twitter campaign. Be sure to try everything out and get comfortable with the platform. The best Twitter feeds are those run by the people who love to Tweet! Be sure to check back with BTN in our next news letter where we show you how to embed your Twitter feed into your webpage. Here are the top 5 Predictions for 2015 in the US Wine Industry by Brian Rosen. Never has a question seemed so deceptively simple: what is the process for getting your wine into Shanghai? The first step is undoubtedly to spend longer than you would in other markets finding an importer. How to engage with your followers and build your brand.